Ashley serves as the Executive Director of the Mayor’s Fund, the Chief Grants Officer for the City of Philadelphia, and the Mayor’s Fund Board Secretary. Ashley comes to the Grants Office and the Mayor’s Fund from the Innovation Management Group within the City of Philadelphia’s Office of Innovation and Technology. 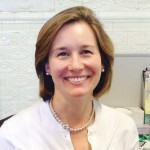 She co-directed the City’s innovation development strategy and co-managed the Freedom Rings Partnership’s KEYSPOTS program, which established 80 KEYSPOT public computing centers in Philadelphia neighborhoods to provide the digital literacy training and reliable access to technology in underserved communities. 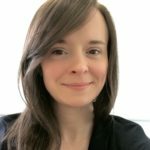 Bringing a background in applied research design, strategic planning, professional development, program evaluation and adult learning and literacy, Ashley has worked in education and community-based contexts in Philadelphia and at the state and national level. She received her Master of Arts in Government Administration and a Master of Science in Education (Reading/Writing/Literacy) from the University of Pennsylvania, and her Bachelor of Arts from Smith College. Trudi joined The Mayor’s Fund for Philadelphia in 2000. As Finance Manager, she oversees the Fund’s accounting, its financial records, grant distribution, and oversight of its accounting system. She brings to the Fund more than 20 years of experience in personal banking, including tax accounting and branch management. 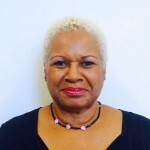 Trudi studied financial management and has a General Banking diploma from the American Institute of Banking. She currently serves as Vice President of the Board for Thrivent Financial, a non-profit organization that offers financial advice and services while supporting social causes. She has previously held the Board President and Financial Director positions at Thrivent Financial. Emily joined the Mayor’s Fund for Philadelphia in March of 2014. As Deputy Director, Emily oversees all grant and contract management for the Fund. She drives the Fund’s communications and marketing efforts, and supports its governance strategy, client management, and daily operations. Emily brings five years of Development experience to this role, having previously worked in fundraising and non-profit administration at several Philadelphia and New York cultural institutions. Most recently, she worked in capital campaign planning and operations for the Philadelphia Museum of Art. Emily holds a degree in Individualized Study from New York University, where she studied Art History and Institutional Critique. See how our organization and the programs we support are making an impact.